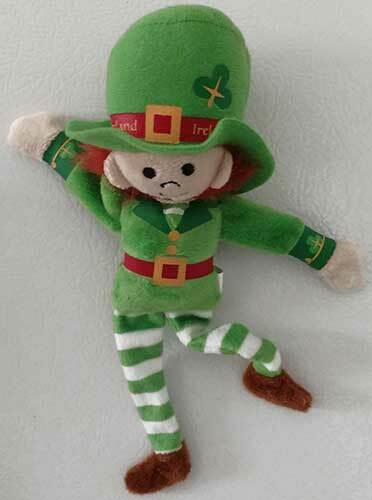 Leprechaun dolls are ideal as Irish gifts for children or as decorations for St. Patrick's Day. 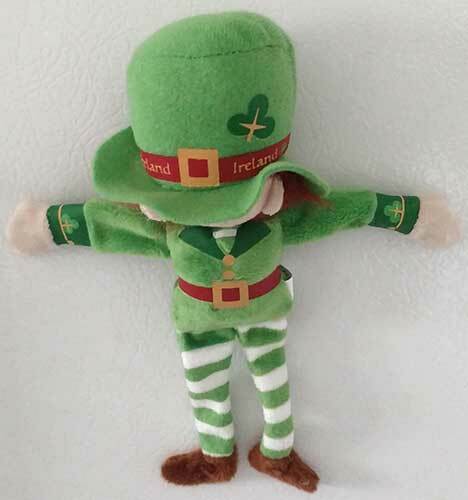 Leprechaun doll is a tall standing design with shamrocks galore. 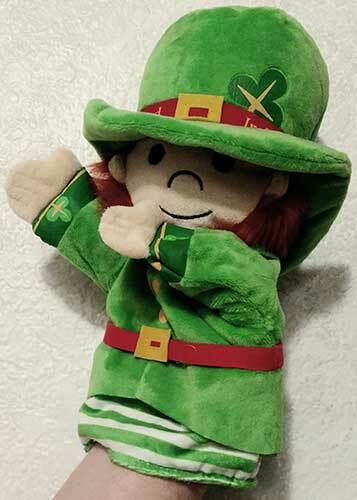 Leprechaun doll is a plush bean bag style with shamrocks galore. 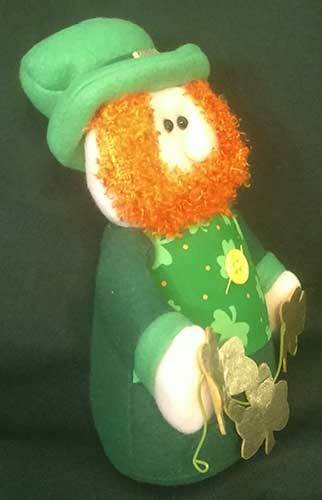 Leprechaun doll is a plush ornament that features a red beard and a shamrock. 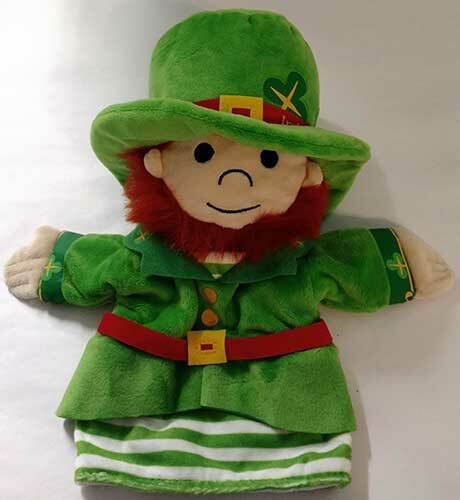 These leprechaun dolls are soft and cuddly too; they are accented with shamrocks along with green outfits and pointy ears. 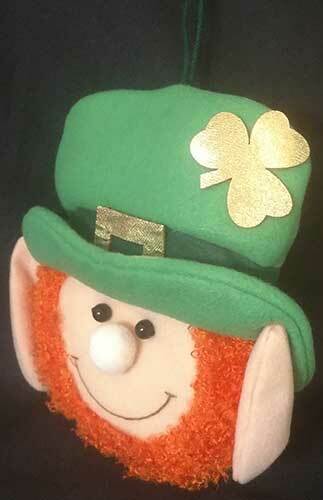 The plush leprechaun dolls are suitable for children or as decorations for an Irish home. 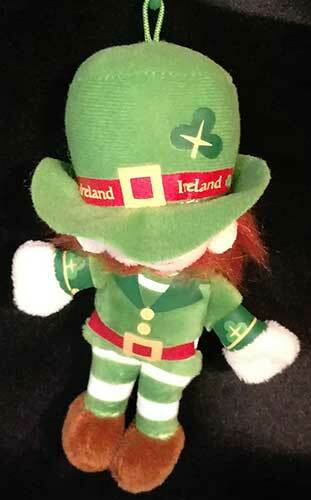 The Irish Gift House even has a Leprechaun doll ornament that you may hang on your Christmas tree. 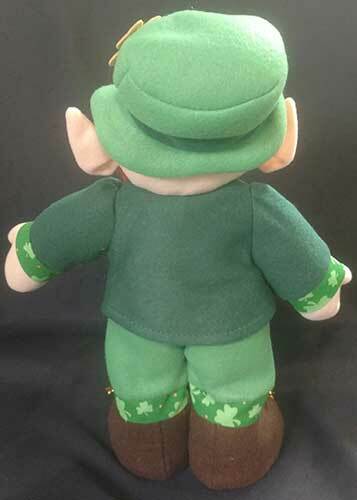 You may also wish to browse our assortment of Irish Teddy bears that includes additional plush toys with Irish farm animal motifs. 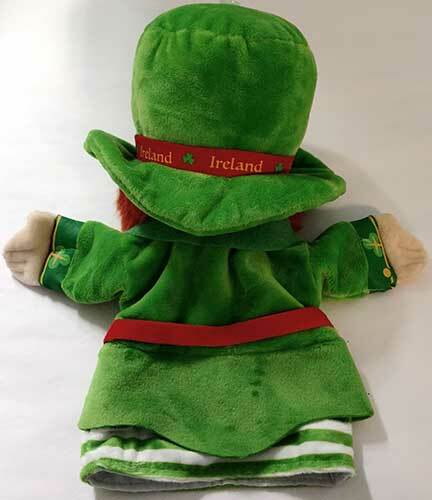 The Irish Gift House also features a selection of Irish dolls, that includes an assortment from Possible Dreams, along with a collection of Irish piggy banks.